Read praise for The British Franchise Exhibition 2016. We're delighted with the quality of the potential franchisees coming to the stand. It was a good exhibition. We exceeded our expected number of leads. Yesterday we were pleasantly surprised. We had good, strong leads, booked discovery days and resolved some resales that we have. There has been strong interest in Belvoir and the quality of prospects has been very good. We were pleasantly surprised that at a smaller exhibition we had a steady flow of people and those that we have seen were focused and knew what they were looking for. They asked the right questions. We have met a number of promising prospects. Fantastic event and a fantastic turnout. We generated a good quality of leads which we hope to convert into good quality franchisees. Overall it was a great event. For consultancy it is a must. Venture (event organisers) were lovely and helpful as always. Our first Manchester exhibition went well, the quality of leads was good and we are confident of recruiting franchisees on the back of this event. Today has been incredibly successful, and the stand has been steadily busy throughout the day. I’ve just taken a look at the leads we’ve generated, and I’m very pleased. Last year we exhibited at The Franchise Show at the Excel, but found it to be very slow, delivering poor leads. The British & International Franchise Exhibition this year has been well managed, with great quality visitors. The calibre of visitors has been excellent, especially compared to other shows this year, and in particular The Franchise Show at Excel. Having top brands such as McDonald's really does attract a higher quality visitor, who is looking for a long term investment. It's been non-stop since 12 o'clock! The team have been very, very busy, and we've come away with some really strong leads. This has been our most successful exhibition so far this year. 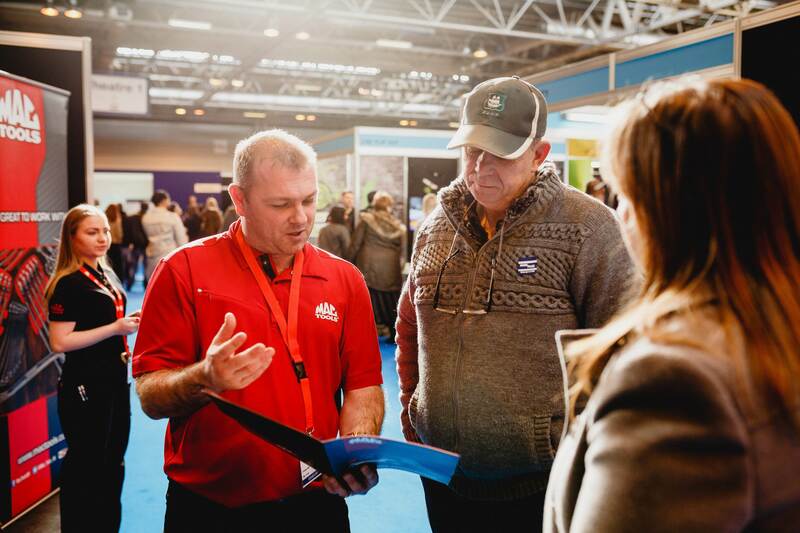 The visitors are coming to the show educated in franchising and know exactly what they are looking for which means we can have worthwhile conversations. I’m chuffed to bits with the leads we have got over the last two days. Absolutely fantastic! We’ve experienced a huge amount of interest from people and the stand has been very busy. This is one of the best events we’ve been to yet, and the Venture team have been wonderful to work with. 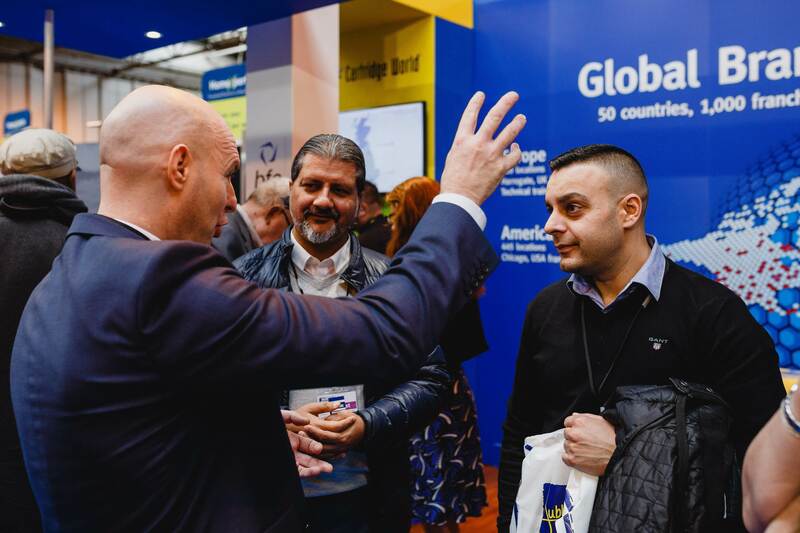 The Franchise Exhibitions have helped take us from 18 clubs to a nationally recognised brand with 170 franchisees across the UK in just three years. 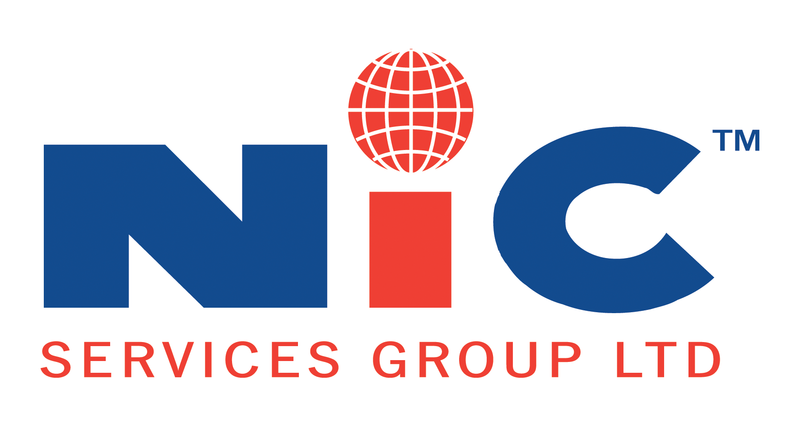 They have become instrumental in our marketing strategy to expand the business as they consistently deliver quality visitors. This is the first big event we have attended, and across the two days we’ve gained good quality leads and booked in a number of follow up meetings. Visitors have come from across the UK, which is exactly what I wanted to see. We have in the past exhibited at the Excel, but have found it to be less successful for us - it doesn't deliver the same quality of leads. We relish the fact that visitors have chosen to attend an accredited exhibition, which ensures the visitors are fully aware of UK franchising and to a degree pre-qualified. It's been a very busy day so far, and I've been able to form some really promising contacts that I'm looking forward to following up with. The place has been buzzing! I know from being a prospective franchisee myself last year, having the bfa back this show brings a sense of reassurance and trust to the event. We have tried other franchise exhibitions, but find the VMG events work best for us. They are well organised, enjoy high footfall and deliver quality leads. I'm really impressed with the number of quality leads coming through the door. Our sales team have been very busy, with one candidate already booked on our next open day. We choose to exclusively exhibit with VMG; their shows are not only well run but consistently deliver high footfall and high calibre leads. The exhibition has been excellent, and we're walking away with plenty of good quality leads and contacts to follow up on Monday morning. We choose to only exhibit with VMG as we feel it's important to have the bfa accreditation, and exhibit alongside other reputable brands who meet the same standards as us.